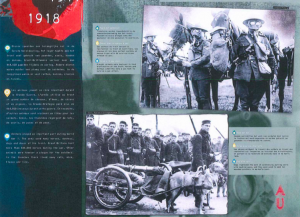 To commemorate the centennial of the first world war, the Belgian embassy in Canberra is organising a touring exhibition in Australia. 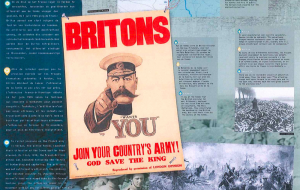 The exhibition named “the great war in broad outlines” retraces the history of the Great War over 30 illustrated panels, detailing decisive moments and important battles, as well as exploring specific themes such as propaganda. H.E. Jean-Luc Bodson, Ambassador of Belgium stated “Thousands of Australians travel each year to the Western Front to pay their respect to their ancestors and fellow countrymen, those who fought for peace and who unfortunately fell in immense numbers in the muddy battlefields of Belgium on the other side of the world. Their sacrifice is one that we can never repay”. 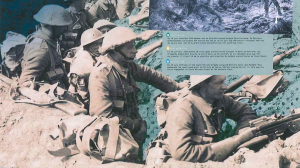 With this timely exhibition, the embassy hopes to celebrate the memory of the Australian soldiers fallen on Belgian soil and bring their stories out to different communities. The 12 locations where the exhibition will be displayed have been chosen as large regional centers with strong connections to Belgium forged during the war. In Roma, the exhibition will be displayed at the Roma on Bungil Gallery from 3 February, to 19 February. The local RSL Club and the previous Minister for Veteran Affairs, Mr Bruce Scott, are very excited about this important Exhibition coming to Roma. From the Roma District some 1200 men answered the call of King, Country and Empire – virtually an entire generation. More than one in five did not return. Approximately 76 were killed and of these 30 were killed in Belgian. “Belgium is very committed to the commemoration of the Centenary of WWI and I am personally convinced that this particular project represents a great opportunity to commemorate once more our common history and keep the spirit of the ANZAC alive.”, Jean-Luc Bodson added. The Embassy of Belgium also expresses its gratitude for Australian Department of Veterans’ Affairs for their support toward the transport costs of this exhibition. Please contact Pierre Defourny (pierre.defourny@diplobel.fed.be) for any questions relative to the exhibition.